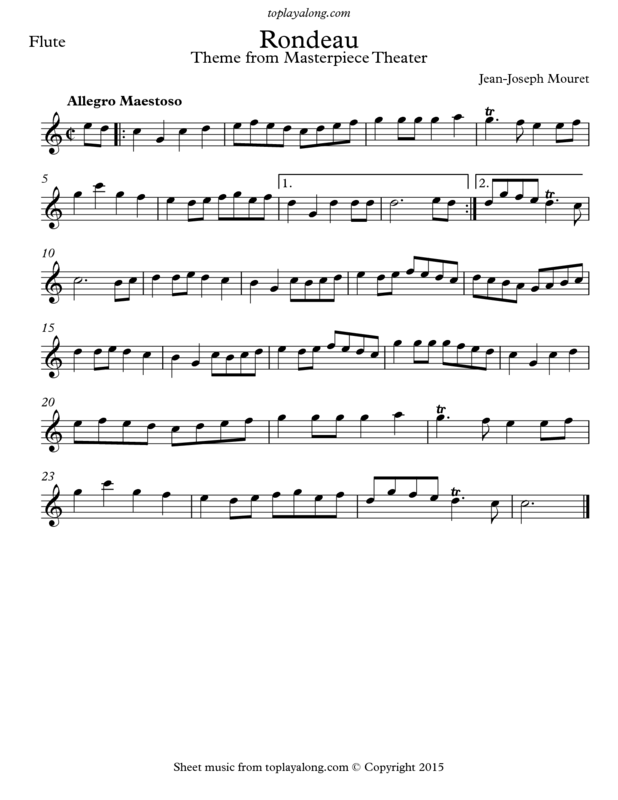 Fanfare-Rondeau is a classical rondeau from the first Suite de Symphonies by the French composer Jean-Joseph Mouret. It is a work of French Baroque music. It is well known as the theme from Masterpiece Theatre, and remains popular at weddings. French composer whose dramatic works made him one of the leading exponents of Baroque music in his country.